National Western Stock Show starts in the beginning 3rd week of January and ends on 27th or 28th on January every year in Denver Colorado . It is the largest event in Denver and growing ever year . Thousands of people travel to to participate in this event . Denver int’l airport is always busy and crowded , SO you can beat the crowd and Traffic by allowing Denver Airport Limousine to take you to National Western Stock Show . We always Welcome to all the visitors and provide them Luxury transportation . There are Rodeo events almost every day and there it always begins with a colorful parade through Downtown Denver . At the End of this event , Lot of Cash prizes are given to the winners of the events in different categories . Denver airport Transportation always feel pride to serve all those guests who come to our beautiful city to experience the show . Vail is the busiest and the most sought-after ski resort in the whole state of Colorado. The elevation of Vil is 11000 ft. You can see famous people year round as celebrities take outings with their families on the slopes, and enjoy some good time.Denver ski transportation Company ( A Active Limousine ) is always busy and transporting the people from Denver Int’l Airport to all ski resorts Like Vail . The journey is about two hours and passengers can enjoy the views of gorgous mountains beautiful golf courses, streams, lakes, mountain peaks, hikes, or drives, from their rental Escalade or Suburbans . 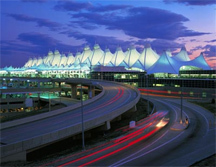 New skiers and visitors always enjoy with Denver airport transportation while traveling to vail ski resort . National western Stock Show has started a few days ago . This is the time when Denver is busy for few events every year like Ski visitors and stock Show . People come all onver the country for this event . We Welcome all participants in Denver .